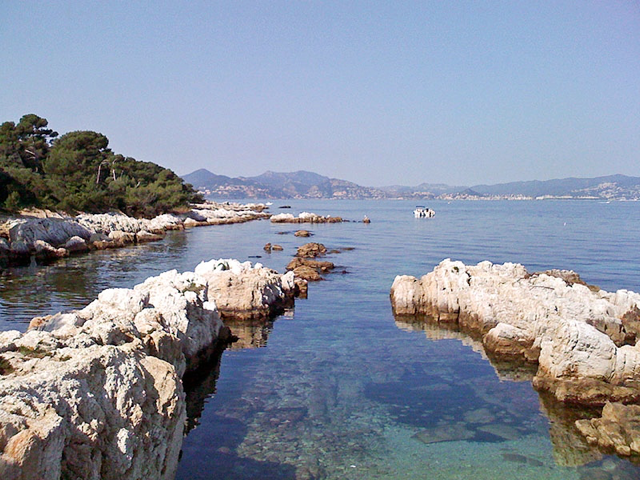 This morning, we took a boat from Cannes to Saint-Honorat, the smaller of the two Iles de Lérins. Saint-Honorat has been home to a monastery ever since Saint Honoratus founded one in 410 A.D., so monks have been living, working, and praying there for 16 centuries. This was our first visit to Saint-Honorat in many years; usually, we tend to favor the larger island Sainte Marguerite, though today’s trip will probably make us reconsider this preference. Over the next few days, there will be several more Saint-Honorat photos published in this space; in the meantime, you can read about the island and its history. Once thing not mentioned in the linked article is that our own village, Valbonne, was founded by the monks of Lérins in 1519.